Close to the heart and a treat for our tummies, chocolates are an evergreen gift perfect for all occasions, celebrations, and days, good for people of all genders and age. 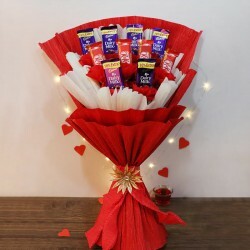 Order from our extensive range of assorted chocolate and have it sent all across India and outside India with MyFlowerTree's easy gift delivery services. There are very few people who would claim to dislike chocolates in some form or the other. 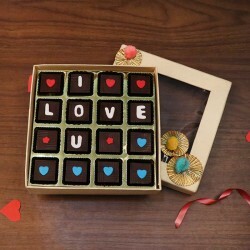 From milk chocolates to dark, every type of chocolate tends to showcase love, indulgence, and desire. 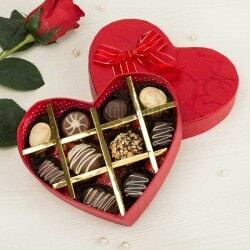 We all know deep within that chocolates soothe are hearts and are the key to happiness. 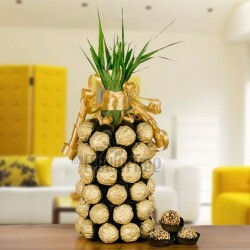 Chocolate gift baskets are something that can bring joy to anyone irrespective of gender or age. 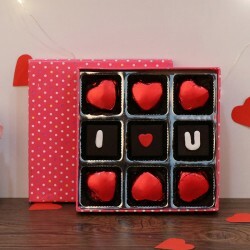 While online chocolate delivery is a sweet little surprise for the kids, it can also bring childlike joy to all adults. 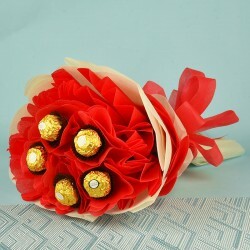 You can send chocolates online for a child's birthday party or you can buy chocolate bouquets for your colleague. This is a gift that is virtually guaranteed to please whoever receives it. If the thought of health is making you stop from buying chocolate gifts online, think again. Apart from compulsory dietary restrictions, there is no reason why you cannot enjoy some nice chocolates. In fact, chocolate, cacao, and cocoa has a very high mineral magnesium content that is good for over 500 functions of your body, including the muscle function and your heart health. Chocolate doesn't give you the illusion of feeling happy. It actually supports the production of dopamine which helps us actually feel good. Improper production of dopamine can lead to a number of disorders like the Parkinson's disease; and chocolate, with its dopamine production enabling capabilities, is rather helpful in the prevention of such diseases. Some people love the sweet things in life while some prefer the hint of bitters. Chocolate is no different; luckily, you have a lot of choice to browse through when it comes to the decision to buy some chocolates for someone else. Ranging from sweet milk chocolates to the bitter darks, there is a lot of choice available for you to choose from. Of course, when you're buying for someone else, you need to know about their preferences, because people need to get only their favorites in chocolates and nothing else! 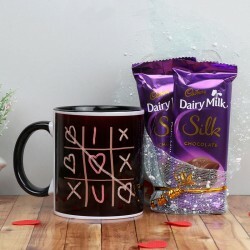 There has always been a connection between chocolate and love that has of course made it one of the most popular gifts for days of love like anniversaries and Valentine's Day. It was the Aztecs that believed that chocolate was actually an aphrodisiac and gave feelings a boost whenever consumed. Whatever you believe or don't believe; there is no denying the fact that a gift of chocolates can bring a smile to anyone that receives it, and helps one say a lot of things, without having to actually speak them. 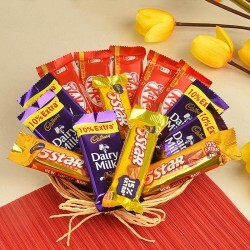 Chocolates for your beloved show how much you desire them and chocolates for your parents help show how much you appreciate and love them. Apart from being a very intimate gift for your loved ones, chocolate just happens to be the perfect go-to gift for when you don't know what to get someone. Chosen as secret Santa at work, but don't know the person that well chocolates! Need to go to a birthday party of an acquaintance, but you don't know their preferences chocolates! 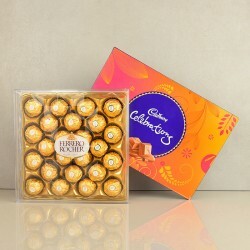 Chocolates are truly an answer to all your questions, and also the perfect gift to give to yourself as well! There are chocolates that are made especially for special occasions like friendships day or Valentine's Day, and then there are chocolates that don't need a reason to be enjoyed. Much more preferred than your average gifts, online gift delivery in Delhi or anywhere else in the country is your solution for all the ages. 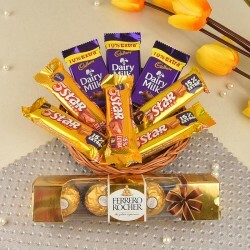 Online shopping for chocolate is also a great idea to help people celebrate the major milestones and occasions in their lives. By nature we expect chocolate to be luxurious and indulgent, making it so wonderfully unnecessary that every time you gift chocolate, it sends clearly the message that you want to pamper someone and make them really happy. If this isn't enough to convince you, browse the range of awesome chocolates and gifts at MyFlowerTree, your one stop online chocolate store. Make your own gift baskets from our selection of goodies and yummies to show someone your unending care. You can even choose express delivery and fixed time delivery options to make sure your gift reaches on time.